The ride-hailing app’s “Greyball” tool identified local officials who could be seeking to stop the service and allowed drivers to avoid them. Rides hailed from a location near a city enforcement agent suspected of launching a sting to trap Uber drivers could be ignored or cancelled using the app, the New York Times reported in March. Uber acknowledged that it had used Greyball to evade officials and said it had stopped using the software for that purpose. 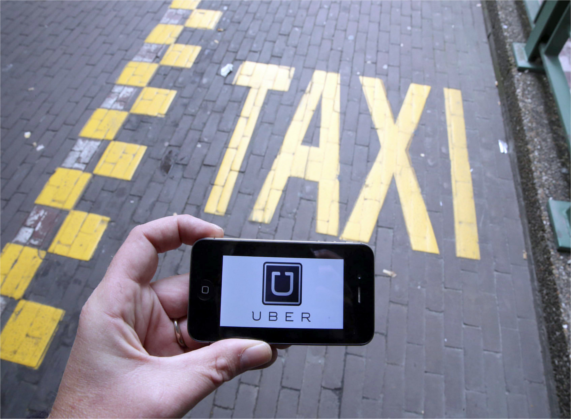 The US Justice Department probe is the latest in a series of legal challenges for Uber in countries around the world. The city of Portland revealed the existence of the federal probe in a report last week. The city launched its own audit of Greyball after it was exposed. Uber has not commented on the current investigation. Other cities, including San Francisco, are investigating Uber’s use of the software but none have pressed formal charges. A Northern California grand jury has requested documents from Uber demonstrating how and where the tool was used, Reuters reported on Friday. The request does not necessarily indicate wrongdoing. Uber has hired law firm Shearman and Sterling to conduct an internal investigation, Reuters said. The company defended Greyball after it was revealed, saying the software has legitimate uses, such as denying ride requests to fraudulent users or people aiming to physically harm drivers. The company, which is valued at around $68bn (£52.6bn), has expanded aggressively into markets around the world, causing a stream of controversy as it has disrupted traditional taxi businesses. In February, Uber launched an urgent investigation into allegations of sexual harassment by staff members. Investors then attacked the company for failing to address its culture of “bullying”, “lack of diversity” and “harassment in every form”. “This is the first time I’ve been willing to admit that I need leadership help and I intend to get it,” he wrote, in a message to staff, also published online. In March, Uber’s best-known security researcher resigned without stating any reasons, leading to speculation over whether there had been a link to the Greyball tool. Rival company Alphabet - Google has also accused Uber of stealing designs for technology for self-driving cars – a claim Uber has denied. Several countries around the world have banned the app altogether or enforced regulations that make it impossible for the company to operate.